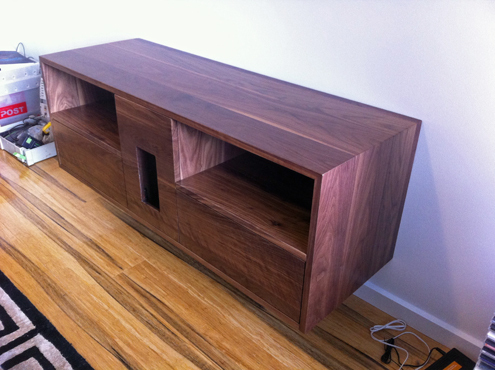 American Walnut entertainment unit that is wall mounted to give a floating appearance. 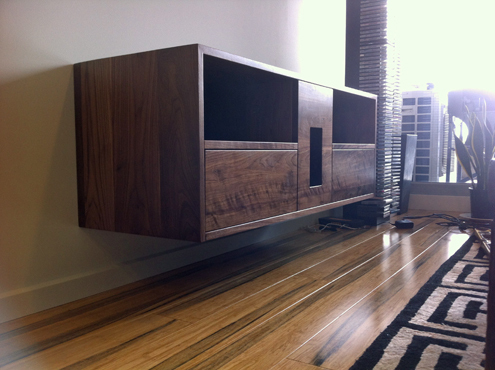 The unit has been designed to suit a specific entertainment system and features a centre compartment for bass module. 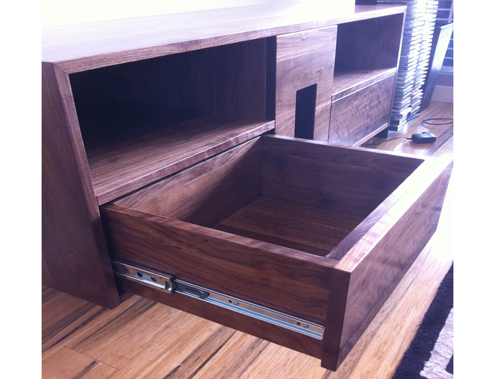 It also includes a drawer and small cupboard for neat storage as well as 2 open shelves. 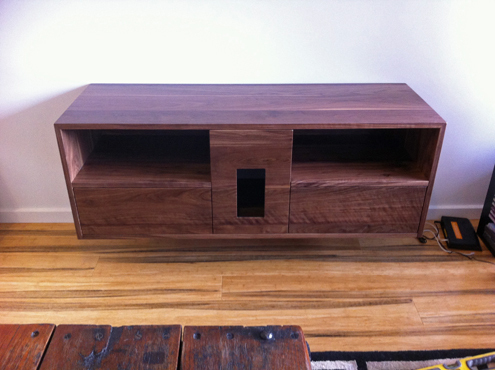 It has been finished in 2 pack satin lacquer.